When homeowners decide to remodel their existing home, or build a new one, they often complain that their current house lacks adequate storage space. Most people find that the inevitable clutter that comes with hectic living can quickly take over a home, whether they live in a small apartment or a sprawling mansion. However, you don’t need to move out and start from scratch to solve this problem. When you maximize your space with storage pieces, shelves, cabinets and gadgets, you’ll soon find that creating a neat and organized home is not an impossible dream. With the invention of the “great room,” the kitchen is quickly becoming the most popular area for friends and family to congregate. Even without an open floor plan, this area is no longer a hidden part of the home, where food is prepared and magically appears through the dining room door. This space is now highly visible and very public, which means that no one can get away with having a messy kitchen anymore! If you have a large pantry closet, make the most of the space with an efficient shelving system and racks. If there’s room, install an island, or keep a movable kitchen cart in the center of the room for additional storage and workspace. A hanging pot rack above an island leave pots and pans within easy reach and provides an eye-catching display for nice-looking copper and iron pieces. In small kitchens, a cart can be moved to a corner when not in use. Some carts are made with a tall shelf meant to serve as a breakfast bar for quick meals. In a small eat-in kitchen, you can forgo a kitchen table without giving up a space to eat and enjoy all the additional storage provided by these functional carts. For a more eclectic look, Kent Brasloff, interior designer at Ask Kent and Co. in New York City, loves the look that furniture gives a kitchen. Kent uses a chest of drawers to give his own kitchen a “country-kitchen-in-the-city” look. With a large number of drawers, the piece traditionally reserved for the bedroom offers “much needed drawer space for tablecloths and dishtowels,” Kent says. “It’s convenient for harder-to-hide items like phone books as well.” Outfitted with a marble top, the piece also provides extra counter space. Kent also uses an oblong planter to store cleaning supplies. Keep one under your sink for organized storage of detergent, sponges and soap. Or paint a terra cotta pot to match your decor and keep the piece on the countertop near your sink. Find unusual glass containers for your cleaning solutions and display them in the planter where they’ll be within easy reach. Kent uses round flower pots for storing silverware. “It keeps it neat and handy,” he says. Kent likes to use flower pots in other areas of his home as well. “Smaller pots are good for pens and pencils,” he notes, “larger ones for mail, potpourri, garden tools, barrettes, hair clips, brushes, and yes, even plants!” Keep pots or other open containers on tables and bookcases in your foyer or living room where you can drop various objects and still keep things looking tidy. In a traditional-style home, technology can detract from the charm of your living space. A folding screen can instantly hide a television or stereo, and be moved aside with ease when the objects are in use. Kent offers another innovative way for tackling this decor dilemma: “I don’t have room for one of those big wall units or an armoire, and I don’t like them much either. Instead, I bought a mantel, built it out a little and laid down a faux marble, painted surround.” He keeps his television inside the mantel. Kent adds, “When I entertain, a pierced, 19th-century firescreen or a couple of large plants hide the obvious. For a chuckle, I sometimes run a video of burning logs!” Fire screens (even if you don’t have a fireplace) and folding screens can also hide other storage areas, such as unattractive expanses of shelves or crates. If you don’t have the space for a freestanding screen, find some attractive cloth to drape over unsightly storage units. Experiment with draping and gathering the cloth. And, of course, baskets provide a great way to store magazines, newspapers, blankets, toys-nearly anything imaginable. Find baskets of varying shapes, sizes, colors and weaves and keep them handy to store anything that you use frequently or that you only want to keep around temporarily. Another great option are collapsible canvas or mesh containers. You can keep them compactly folded in a drawer when they’re not in use. The bathroom, like the kitchen, is a fun place to experiment with unconventional storage options. Don’t be afraid to place a bookcase in a corner, and use it to store folded towels and display pretty toiletry containers. New lavatory designs house bathroom sinks in cabinets that look more like bedroom dressers, offering more drawer and shelf space than traditional pieces. More people are working out of their homes than ever before, and the growing need for home-office storage solutions has resulted in a bevy of desks, file cabinets and shelves with a more personal feel than furniture typically found in a public office. If you conduct business at home, you probably have an entire room devoted to an office. Look for shelving units and office suites that have plenty of cubbies for papers and accessories. A disorganized space can lead to wasted time searching for things, and will discourage most telecommuters from getting work done. Make sure that your desk still provides plenty of open surface space. Kent’s number one recommendation incorporates one of the latest technological feats: “If you run a business from tight quarters, I cannot extol the virtues of the flat-screen computer! You’d be amazed at what you can do with that one cubic foot of space you saved.” To maximize even more space, consider using a laptop computer. These compact versions of their larger, desktop counterparts can fold up and be put aside when not in use. If you only have a corner of a room to devote to your home office, or if you simply want a designated spot for paying bills, keeping records and conducting correspondance, a compact secretary desk can suffice. These small pieces often feature spots for mail and writing accessories, as well as room to file important bills and priority papers. The kitchen, family room or foyer can be the ideal places for a small workspace. The bedroom is the most important area of the home to keep neat and clutter-free. Even if you’re not a proclaimed “neat freak,” falling asleep amidst a room of messy piles can be difficult. Visit your local home improvement center or browse through catalogs to find a closet organizing system that will make the most of hidden storage space behind closed doors. If your closet is very small, or if you don’t have one at all, find a wardrobe or armoir that can store both hanging and folded clothing. Keep containers on nightstands and dressers that can hold jewelry, keys and loose change that is discarded at the end of the day. In childrens’ rooms, there are plenty of bin storage systems and shelves. (If you use a tall unit, make sure that it is properly anchored to the wall so it’s safe for small children who may climb the shelves.) Designate specific bins or crates for groups of items so cleanup time will be fast and easy. Under-the-bed storage bags and boxes are great for extra sheets, blankets and even out-of-season clothes. Filling the space below beds also prevents toys and shoes from getting lost there. We do not always find the importance of this space in the house since most of the time these areas are accessible to us only. But I actually find it fortunate to have a closed door garage where I can just possibly secure my utilities and all home work stuff in there. It could even be bigger ones like bicycles, surf boards and the like. A space saver like me would always hang the bigger stuff. I would suggest getting or making shelves that you can attach to the wall for keeping all the others. If your garage door happens to be functional in such a way that you can still attach or hang a little storage that is always even or proportional to the floor when opening or closing, that is a smart way of stuffing things that you tend to look for or use on a daily basis. If this is your preference, a sturdy garage door is required to protect your property, well that is always the foremost requirement I believe. You can always ask for a professional garage door repair to help you confirm the safety and functionality of your garage doors. It is always better to be safe than sorry. With a little planning and some well-placed storage pieces, you and your family will appreciate a neat room at the end of the day, and in the morning, everyone can awaken to a tidy space and an organized home. Dirt devil has provides consumers with great varieties of products for generations. Dirt Devil doesn’t just make vacuum cleaners, their world of products is designed to make lives easier for all consumers in all areas of their homes. The Dirt Devil Kone is a slight and simple design. It is a handheld vacuum cleaner with a 7.2 volt motor. The slick design of the kone offers customers six color options. The colors are available in blue, champagne, charcoal, and plum and white. The kone is quite affordable to purchase. The off colors (except for white) cost a minimum of $44.99. To purchase the white kone vacuum, the customer will spend $42.99. The shape of this vacuum cleaner reminds me of the movie, “Cone heads.” The name of the product fits the vacuum to a tee. This small vacuum weighs only 1.9 pounds, a very light machine to use. The Dirt Devil Kurv has a much curvier appearance with a 9.6 motor. The kurv vacuum is a much more expensive. It will cost you at least $55 dollars to purchase. The colors are not as available as other vacuums. The color schemes that Dirt Devil chose for the Kurv are Chocó-latte, champagne, spice and harbor blue. This product weighs only 2 pounds. It is still light weight and easy to use. Both vacuums are slick and elegant for the customer purchase. The slick designs offer a much more convenient storage options. Dirt devil has put together two vacuums that require no tools to assemble the vacuums .The features for both vacuums are quite similar. The two handheld vacuums are bag less and have replaceable filters. Dirt Devil has given consumers a three year warranty for both products. If price is the concern, the kone is your better option. But a few dollars more you can have a vacuum cleaner with a much more powerful motor. The design, price and motor are a few of the differences between the two cordless vacuums. The differences between the vacuums are quite noticeable. The shapes of the two products are the most noticeable difference as well as the tag price. The colors are limited to the kurv. This cordless machine doesn’t have the color options that the kone has to offer. As a consumer, the price and design are what really set the two vacuum cleaners apart. The weight difference isn’t a big factor in shopping for a vacuum. The evolution of Dirt Devil products won’t stop there. This company is best known for their wide selection of products for consumers. Dirt Devil provides customers with products that provide great quality and service. This company doesn’t put a product onto the market unless it knows for sure it is a good product that is worth purchasing and that will last a long time. For those of us who may have packed on an extra pound or two (or twenty) over the holidays, the look for spring in both fashion and furnishings is lean, clean and green. (We should all applaud ourselves here right now for being able to achieve at least one out of three, folks.) Yes, it’s time to pare down, in more ways than one! While you’re poring over the catalogues from Pottery Barn, Macy’s, Ikea, Thomasville, Ethan Allen, and your local mom-and-pop furniture stores, stacked up next to them most likely are the catalogues from Nordstrom, Neiman Marcus, Dillingers, Delias, Abercrombie & Fitch, Loehmann’s and more. Your local department stores have also been keeping the postal service busy as well, featuring ads on both spring clothing and new and sale furniture. This month’s issue of Vogue alone must have been two inches high, chock full of dramatic, breathtakingly beautiful ads of (mostly) spring couture and accessories. I’m assuming that the consumer nation worldwide is growing more than a little tired of boiled wool, houndstooth, grey flannel, quilted jackets and vests, to say nothing of suede boots and huge leather hobo bags. Much like a tray of Christmas cookies, these heavy, wintery looks literally and figuratively weigh us down. Spending a day and a half perusing Vogue could be the equivalent high of 20 mgs. of Paxil for those of us who have seen way too much fleece, wool, and heaven help us, even cashmere. We are also quite tired of lugging out the goose down comforter to throw on the bed each night, of inching the thermometer up little by little, of weeping silently as we pay our gas and utility bills, of ‘nesting’ in our own apartments and houses when the high temperature for the day will be an eye-popping 12 degrees…Spring is not that far away, thank goodness. And now is the time to ‘lighten up’ both our wardrobes and our homes. Take a look at designers’ visions for spring: dark, skinny jeans are still hot (darned it! ), as well as polished tops, well-constructed Bermuda shorts in earth tones (the kind that you can wear to the office with opaque tights or really, really tanned and toned legs underneath), and the classic, clean lineage of Chanel, Dior and Galliano continues to live on. Remember the gowns worn by the stars at this year’s Golden Globes? Straight lines, little fluff, lots of silhouettes, cool (as in not warm) colors such as the St. John strapless grey ruched gown worn by Angelina Jolie. Not a Bjork in sight that evening! (Well, there was that Nicolette Sheridan number that looked like her stylist had wrapped her in black packing tape before she stepped out of her limo, but that’s fodder for perhaps another article.) This was a night chock full of godesses in more ways than one. Sophisticated black gowns with beautiful ruching and lines, lemony yellow strapless gowns, a touch of peach here and there… Airy, well-defined looks for spring are in, thank goodness. Turn away from the light of Donatella Versace, with her explosions of gold lame and leopard print on every moveable body part; you’re heading in the wrong direction there. Versace must truly believe that we all live the Miami night life in a town that apparently has a daily temperature of 90 degrees year round and the main occupation for a large number of its population is clubbing. Well, Donatella, sweep away that wall of bleached extensions and listen up here girl: we don’t want to wear a gold long-sleeved shirt., or even a sleeveless one. Or a gold skirt. Or a gold lame dress. Or a huge gold shoulder bag that proclaims “I have money but absolutely no taste! I spent more money on this bag than the entire cost of a school breakfast program for several small Kentucky towns!” We want the lightness of the nature of spring itself. We want to feel unencumbered. We want to look lean and mean (mean mostly because we’ve dieted outselves past the point of oblivion and are still really, really ticked off about that.) And the casual wear, sportswear and couture designers are giving us just that. Simple sells – it’s as ‘simple’ as that. A Victorian floral love seat in the entrance foyer, paired with a flat-backed hall rack that I have had a hate-hate relationship with for the past ten years. (When I removed the love seat yesterday to vacuum the rugs in the room, I begged my blithering spouse to consider how great the room would look with ‘less furniture’. ‘Hey, I think it looks great just the way it is. Are you planning on getting rid of anything in there? You’d better let me know if you are, ’cause I like this stuff’ – hence, blithering.) The wallpaper in our master bedroom brings tears of despair to my eyes. It’s a huge, huge room with really cool crown and dentil molding. The original owners went with a hunter green and burgundy look: the carpeting is hunter green, as is all of the molding and the interior doors. The wall paper above the molding itself is a floral nightmare in shades of – what else – hunter green, burgundy, and white. We have a triple window that looks out over the back yard; the drapery for this huge window is (again) a floral pattern in shades of ‘hunter green, burgundy, and white’ that doesn’t quite exactly match the wallpaper, thank God, but comes pretty damned close. (Did I mention that the interior window sills are painted hunter green as well?) On a small scale, I can’t begin to imagine what this would look like. 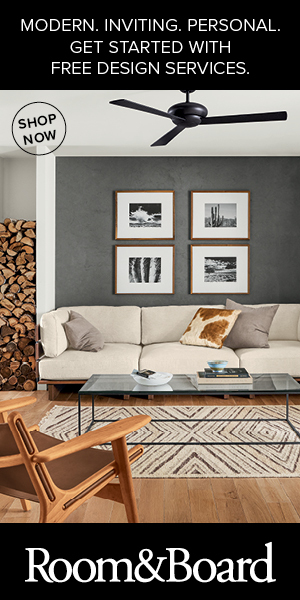 One of the coolest new looks in spring furniture fashions is leather furniture (sofas, chairs, loveseats) in light colors. (Those of us who own cats or dogs with rather scruffy nails may wince at this idea.) There is nothing quite like the feel of leather – soft, buttery, and with that awesome ‘leather’ smell. (Those of us who also belong to PETA may have some moral problems with this issue, here, as well.) For anyone who does appreciate leather furniture, the ‘new’ looks are quite interesting. While black appears to have lost favor (except, I guess, in attorneys’ offices and banks), the new tones of leather are white, beige, cream, yellow, peach, dark orange (I know there’s a name for that color, I just can’t for the life of me remember what it is), and celery (yes, celery!) Most of these pieces are sectionals, which means that you can add or remove seats to accomodate your own digs. Arms are rounded, curved, squared off, or in some cases, nonexistent. The leather is either tufted (for a more formal look) or smooth, and optional leather seating arrangements include individual chairs (high-backed or arm chairs), love seats and really great ottomans that can serve as a ‘coffee table’ and provide even more seating in tight quarters. You can dress up or down the look of leather furniture by using matching leather or contrasting fabric colored pillows as well; you could even change the looks of your leather furniture by bringing out the ‘springier’ colored fabrics in warm weather, storing away darker pillows for cooler days (or days when your guests will include children). It’s a look that’s analagous to that All-American fashion staple, the shirt/wrap dress, popularized by Diane von Furstenberg (whom I believe is also the mother of CNN’s Anderson Cooper, but again, another day, another article!) The basic style of the shirt dress remains the same, but the fabrics are the true reflection of the season. Long the darling of women who travel for business or pleasure, the jersey wrap dress made a big return to fashion popularity about two years ago, and shows no signs of decline. Like leather (or even ‘handmade’ leather-like) fashions, the look for the fashion classic wrapdress is a timeless staple; like leather furnishings, you’ll pay more for your purchase but it will last you for quite a long time. Again, it’s the colors that define your choice. Another interesting trend in furniture is the styling of coffee and end tables. These now tend to serve dual purposes: the coffee tables have drawers, unlike former styles of bone-crunchingly contemporary glass and brass/silver tables which were not only a pain to keep clean but also somewhat dangerous when coming into contact with a small child’s head or other sensitive bodily parts. The newer looks in tables have a utilitarian approach. Not only can you store items in the coffee and end tables drawers, a lot of the new looks feature both tables as being high/tall enough that you can store things under them! We’re talking about adding more seating again here, folks. Benches or even cubes are stored beneath the tables, waiting to be pulled out if more room is needed. These ‘extra chairs’ can be either of the same wood as the larger tables, or made of a contrasting or complementing fabric. 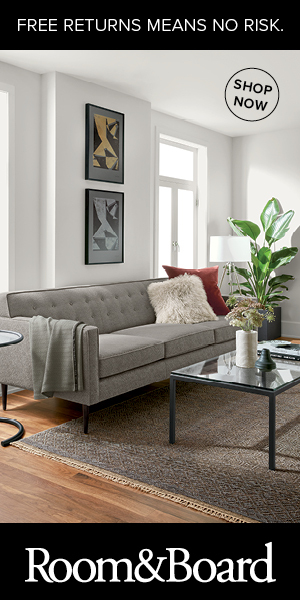 Either way, this new style is great for apartment-dwellers and families who extensively use their family or living rooms, but want a cleaner, softer look, instead of stuffing it with bulky extra chairs. Take a look at the handbags that some of the top designers are putting on the spring sale block. One of my favorites is a bag by Marc for Marc Jacobs. (My youngest daughter received one as a holiday gift; it came directly from the Manhattan store in its dust bag, with the price tag – $1,180.00 – still attached. Needless to say, the bag is STILL resting comfortably in its dust bag so far.) This particular bag is a fan-shaped hobo style shoulder bag; primarily constructed of a lightwash denim blue fabric, the bag’s handles and trim are all in white leather. It’s a pretty big bag (about 14″ wide), and has the mandatory inside zippered pocket (below the Marc Jacobs logo tag), plus three separate little compartments, each suitable to hold a set of keys, a cell phone, and your Ipod. What’s even niftier is that the outside of the bag has three separate zippered compartments as well; if you need a place to stick your lipstick or lip gloss, your reading glasses, change or whatever, there you go! For such a really beautiful bag, it’s pretty utilitarian too. I’m also smitten with the Botkier summer bags as well. What I’ve always liked about Botkier’s styles is that they hold an awful lot of stuff in a bag that doesn’t look like a suitcase. The first thing you notice about a Botkier is its rich, luscious leather (oops!). My own ‘winter’ Botkier is a really beautiful caramel colored bag made of goatskin, with a suede interior. Like the Marc Jacobs bag, it has several well-thought-out interior zippered and open compartments. It also has two side compartments as well, each with a turn closure. Spring and summer handbags, especially the hobo/shoulder bags, have become objects that are both gorgeous in appearance and extremely functional in making the most of their space. You can bring a bit of spring’s softness to your furnishings by alternating those ottomans or storage cubes in the tables: clear off the tops of the tables and dress it up with a simple glass vase and one or two long-stemmed buds. If you have enough of the fabric cubes, consider a quick reupholstery job on them with a new, more exciting color or design. The concept of having ‘extra storage’ that’s elegantly hidden away in both home furnishings and handbags is a really ‘hot’ new trend. While we’re on the subject of tables, have you taken a look at what’s now being offered as tables for the large plasma and flat screen televisions? Instead of bulky wooden three-unit ‘entertainment centers’, manufacturers are whipping out two-shelf long, low tables, many of them with plexiglass or glass tops. (You rarely used those extra ‘entertainment center’ bookshelf units anyway, didn’t you? They seemed ripe for having to fill them up with DVD’s, CD’s, and (in our house, at least) trinkets, just to make them look not quite so empty. If you’re a fan of the style, rest assured that the “Bordeaux” and “Queen Anne” styles of furnishings are still popular – just not as popular as they have been over the years. (A recent sale brochure featured all of the ‘newer’ looks in its first dozen or so pages; the larger, bulkier styles garnered maybe four or five pages at most, at the very back of the brochure. Most suites in these styles were bedroom and dining room.) There will always be a market for sleigh and canopied beds in polished dark woods. A look that continues into this spring is the increasingly popular white bedroom set. White furniture has traditionally been the look for a baby’s nursery and little girls’ furniture. The ‘new’ white bedroom, however, is a softer, creamier color than the stark look of Jack or Alexa’s first room, with its white on white changing tables, headboards, tiny dressing tables, and chests of drawers. So much in praise of bead board – back to the white furniture trend. Nothing says spring or summer like a muted white bedroom set. Nothing opens up a small room like it. Plus, it’s very versatile in that you can accessorize it for each and every season. The tops of the furniture are generally in a formulated wood veneer such as oak, maple, rarely cherry (too ‘formal’ of a wood for this style), and sometimes are painted white or gold. (Word to the wise: Do not go with the gold. Don’t ask. Just don’t go there. It looks stupid and cheap.) You can get the full range of bedroom furniture in this style: headboard, dresser, mirror, desk, night stands, chair, armoire. The whole look is reminiscent of a summer bedroom in Old Cape Cod, or Maine. Some of the recommended manufacturers I’ve found for this look are Thomasville and Ethan Allen, based on our own experience. (Our daughters all now have this style of bedroom.) The look is cool and breezy for the spring and summer, and cheerful and bright for both fall and winter. The good thing about this type of bedroom suite is that you can lighten up the whole look of the room with light, gauzy window coverings for spring and summer – single sheers in jewel tones set on a single drapery rod are a great idea. Come chillier days and nights, you can replace the sheers with pre-hemmed fabrics in tartans or plaids, or darker jewel-toned colors (amber, red, chocolate brown). While this style of bedroom furniture may not be quite the cup of tea for everyone, it really is worth considering. The lightness of the color and innate ‘shabby chic’ style are really very impressive. It IS kind of a bold step into a different direction. A lot of designers showed another bold step with the introduction of leopard-print dresses among both their winter and spring lines this year. One of my favorite versions is sleeveless, with a rounded neckline and knee-length hem. The beauty of this dress is that it can be worn for every season: with a brown turtleneck and tights for winter, a short-sleeved black cashmere top for fall, and ‘as is’ for spring and summer, dressed up or down with a belt or jewelry, ballet flats or high heels, even slouchy boots. You can go wild with imagination with this simple, clean look: a black belt, a gold or silver toned belt, gold or silver jewerly, black or white jewelry, …whether it’s a white bedroom set or a simple print dress, put your own imprint on it! When you come across an innovative new look for spring, whether you’re looking to add some light, airy looks in your home or in your closet, go with it, put your own imprint on it and make it your own! Trying to discover a new refrigerator can sometimes be like searching for a needle in a hay stack. The reason for this isn’t because there aren’t enough refrigerators, on the contrary there is almost an over-abundance of choices, it is because many of these refrigerators do not offer consumers high-quality engineering and design. However, if you are searching for a refrigerator that will not only last you and your family many years, but also improve the appearance and functionality of your kitchen, you need to check out the GE Profile 25.1 Cu. Ft. Bottom Freezer Refrigerator, Model: PFSS5NJWSS. This refrigerator will provide you and your family with all of the necessary features to streamline your most common uses, as well as several advanced features to enhance how your food is preserved. While there are numerous features that I wish to touch on within this review, perhaps the main feature is the overall design of this refrigerator. Consumers will enjoy the streamlined appeal of curved handles that are made out of high-quality steel, and with the water dispenser located directly in the door, you will be able to enjoy a fresh glass of purified water. The water actually features the TurboCool Function, which actually chills off your water before it reaches your glass so you are able to be refreshed on a hot summer’s day. There is also an ice maker located in the freezer section of this refrigerator. Another great feature is the Freshness Center. The Freshness Center is an entire area of your refrigerator that has been dedicated to providing your most sensitive food items with the upmost in care. There are a total of two different humidity-controlled crispers located above the deli drawer. However, it is the deli drawer that is the main feature of the refrigerator. You will be able to fit party trays, or a just a lot of deli meats, within this deli drawer that stretches throughout the entire width of the refrigerator. The freezer section of this the refrigerator is located under the fresh foods section, and because of this design, users are able to enjoy more usable storage room. If you enjoy shopping in bulk, than you will definitely want to check out this refrigerator because the freezer section provides you with wide open spaces for ultimate storage. This unique bottom mount freezer refrigerator from the GE Profile product line has been designed with the consumer in mind. And with all of its usable features, this is definitely apparent. You can find this refrigerator for an average price of only $2,000, which is a great buy for a refrigerator of this caliber. Before you begin cleaning any silver pieces – from jewelry to flatware – it’s important to understand how silver reacts to substances and methods. Certain materials will damage silver almost irrevocably. Rubber, for example, corrodes silver. It’s advisable never to clean silver while wearing rubber gloves (there are alternatives, such as cotton gloves). Vinegar and acidic juices are also damaging to silver. When serving foods that contain such liquids (including many salad dressings), serve in and with other materials (such as wood, glass, steel, or china). Generally speaking, it is good to avoid scrubbing silver with abrasive materials or scrubbing too hard. Silver can scratch and wear away. Always be gentle with your silver – it’s better to have tarnish take a little longer to remove than have your silver removed along with it! Silver cleaners and polishers you can buy in most do-it-yourself, home goods, or grocery stores are created to be safe for your silver. However, silver comes in many forms. First find out whether your silver is silver plate, solid sterling, oxidized, or lacquered. Read labels and make sure to buy a cleaner or polisher that is indicated for your type of silver. For jewelry, you might want to find a jewelry-specific silver cleaner. If you’re in a pinch and out of silver polish, you can use a common household item to clean your silver: toothpaste. Cover your silver in toothpaste and use a soft-bristled brush to gently scrub with a little water, until you’ve created a froth. Rinse thoroughly. Another common household substance that may be used is baking soda – blend water and baking soda into a paste and apply to your silver and rub carefully, then rinse. If you aren’t sure what kind of silver you have or how best to clean it, ask an expert. You might find experts at home decor shops or jewelry stores.